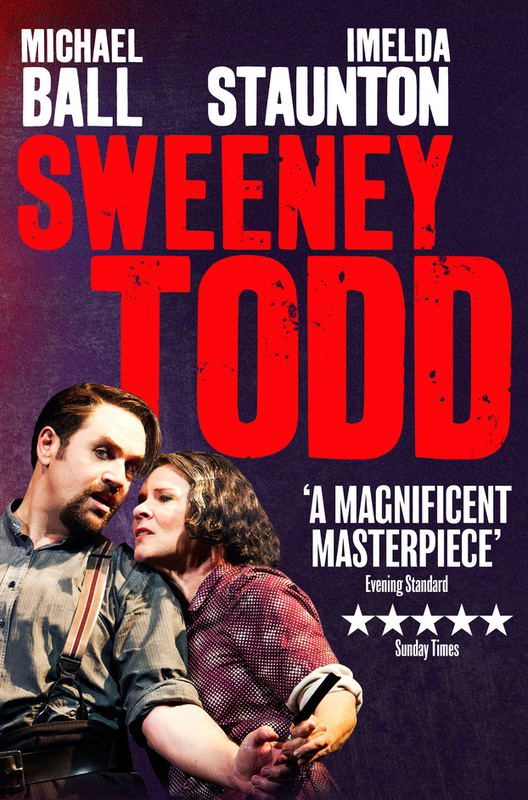 overyourhead: Sweeney Todd: The Demon Barber of Fleet Street..
Last night Stuart and I went to see Stephen Sondheim's Sweeney Todd: The Demon Barber of Fleet Street at the Adelphi Theatre in London's glitzy Strand. The muscial starred Michael Ball and Imelda Staunton. It was dark, funny and very good. I'd seen both the 1980 production starring Sheila Hancock as Mrs Lovett and also the 1993 production starring Julia McKenzie in the same role - and this revival was better than either. It caught the mood just right turning the audience's affections first this way and then that as the wronged Demon Barber of Fleet Street sets out to enact his revenge. Quite a few innocents meet a grisly end before the corrupt and evil get their comeuppance in the barber's chair. 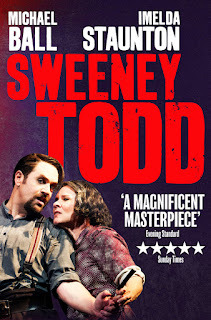 Michael Ball was indeed very good at the eponymous barber but it was Imelda Staunton's Mrs Lovett that stole the show. Channeling Julie Waters' Mrs Overall she was cruel yet kind, heartless yet loving, knowing yet deluded. Catch it if you can!